The company decided to play nice with the FDA. Facing criticism about underage users, e-cigarette maker JUUL has decided to pull all flavored JUUL pods from retail stores, and is adding additional age-verification systems to its web store. In an update on its website, the company also said that it will stop retail orders to over 90,000 retail stores in the U.S. Anybody who wants to buy flavors other than tobacco, mint and menthol will have to prove their age by giving up information like “name, date of birth, permanent address, and the last four digits of their social security number” to verify they are older than 21. The news comes after the FDA raided the company’s headquarters in San Francisco in October, seizing thousands of documents about the company’s marketing strategies. JUUL has also announced it will shut down its U.S.-based social media accounts on Facebook and Instagram. It will also start asking other accounts to remove “unauthorized, youth-oriented content” from their feeds. “By deterring social media promotion of the JUUL system by exiting our accounts, we can better prevent teens and non-smokers from ever becoming interested in the device,” read the statement. In the future, JUUL says it hopes its next generation Bluetooth-enabled product will “break new ground on access restrictions at the user level” once it’s released in the U.S. 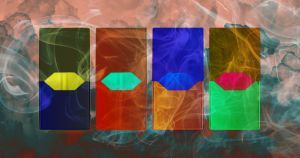 Pulling JUUL flavors off retail shelves is bound to make it harder for underage users to get their vape on, but will it be enough? Unlikely, considering the company’s brand is only one of hundreds.